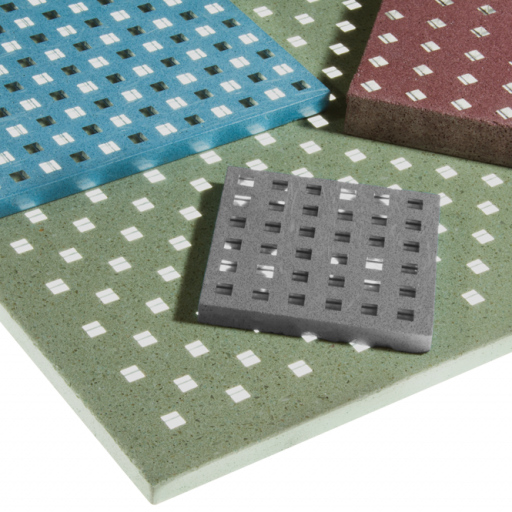 From recycled content to new materials. 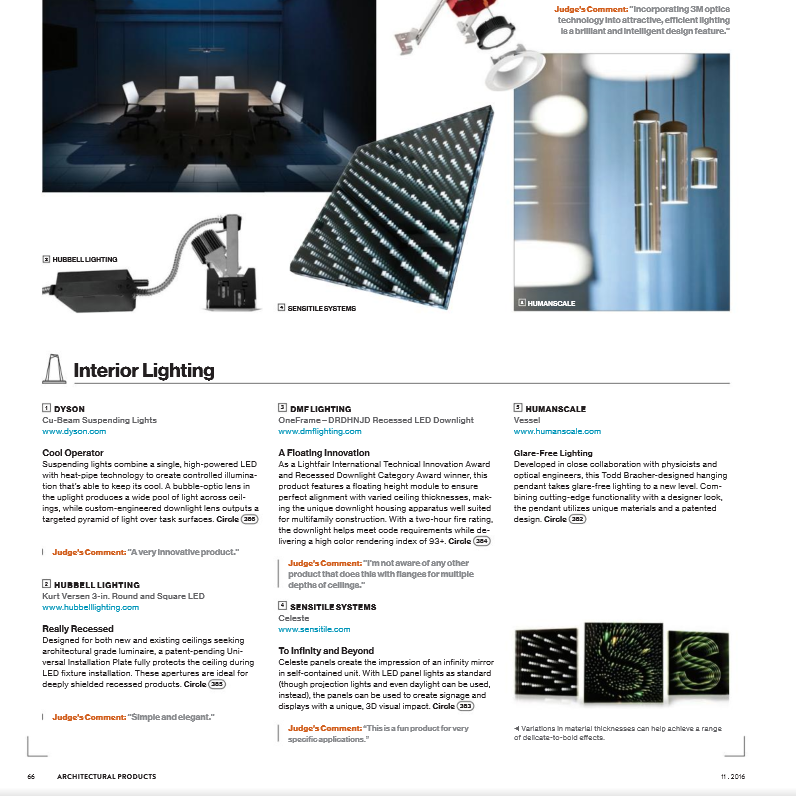 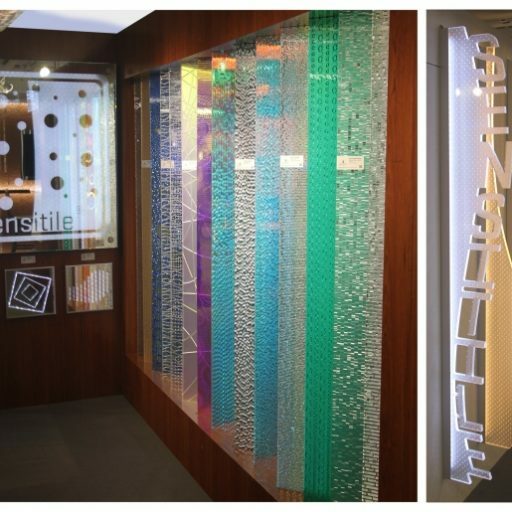 Sensitile's interactive material, Scintilla, has won a 2016 Product Innovation Award from Architectural Products. 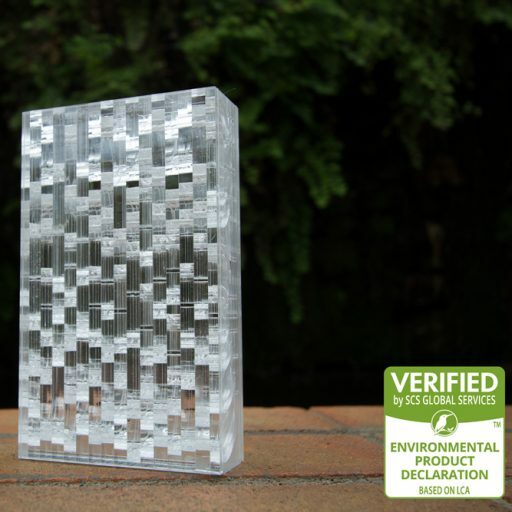 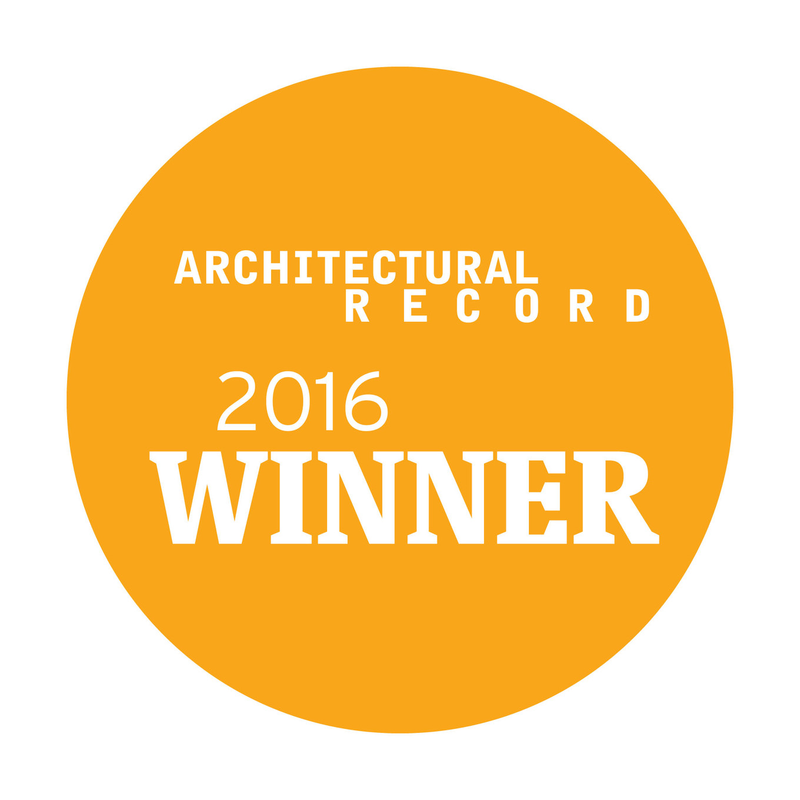 Celeste Glass, our revolutionary light-emitting canvas, has won a 2016 Product Innovation Award from Architectural Products. 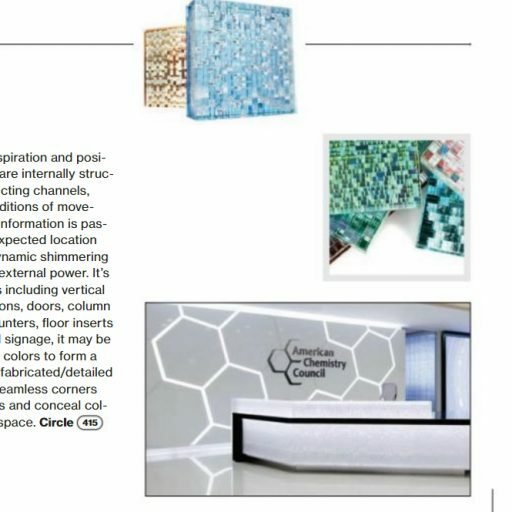 IIDEX Canada presented Jali S to over 16,000 industry professionals at their Think:Material 2016 booth, November 30th-Dec 1st. 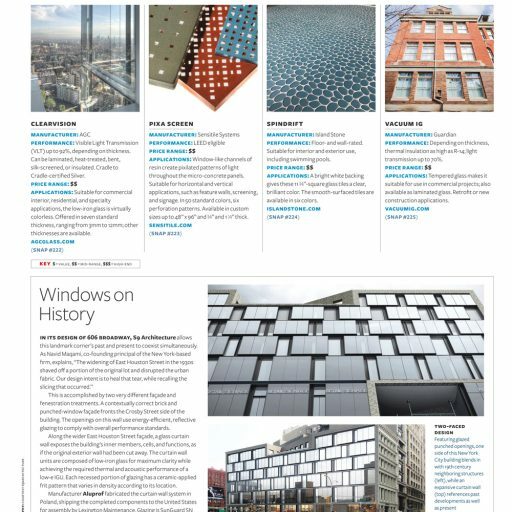 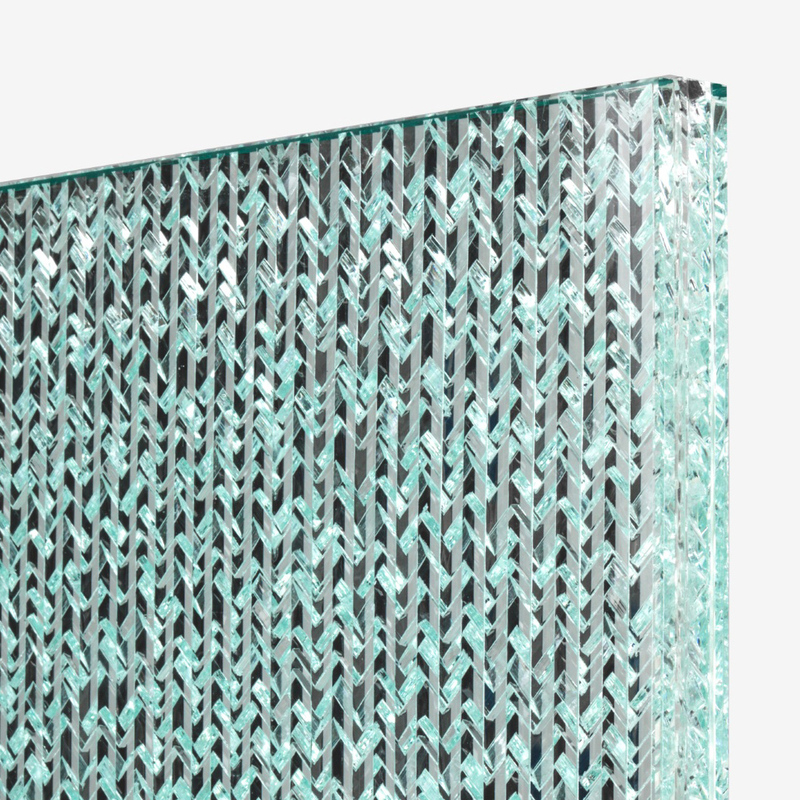 Two of Sensitile's newest material offerings, Jali S Glass and Celeste Glass, were each awarded a Record Product Award by Architectural Records in their December 2016 issue.